An executor is the person appointed to carry out the probate of a person's estate after that person dies. 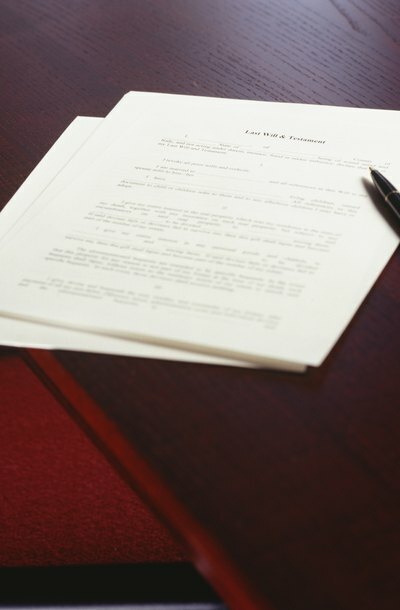 Probate proceeds according to the instructions set forth in the deceased person's valid will or, if the deceased had no valid will, according to general provisions outlined in state law. A will can identify a candidate to serve as executor, but ultimately a probate judge must assign the probate executor. Most often the probate judge appoints the person designated in the will, unless the judge determines the person is incapable. For example, if the person has become mentally incapacitated since the will was created, the judge will appoint a different executor. The trustor, meaning the person who creates a trust, identifies the person who will serve as trustee. A probate judge does not have to ratify a trustee's appointment. Generally, any mentally competent adult is qualified to serve as trustee. In some states, a trustee must take a formal oath and post a bond. Trusts and wills are separate estate planning forms that, together, carry out a cohesive estate plan. Similarly, executors and trustees are separate legal roles that work together to carry out overlapping estate planning goals. The trustee manages any property held in the trust while the executor manages and closes out the estate, including distributing property bequeathed under the will in probate. No state or federal law prohibits the same qualified person from serving as both trustee and executor of the same estate. Judges never force anybody to serve as either an executor or trustee. Instead, a person appointed to serve as either executor or trustee may decline the appointment. It is always a good idea, therefore, to consult with the individual who will be appointed as both trustee and executor before the time of appointment comes, just to make sure the person is willing. If the person accepts one appointment and denies the other, this could create an unanticipated hiccup in the estate plan. One benefit to dual service is the appointed person can receive separate compensation for her services as both trustee and executor. Executors play a vital role in ensuring that your property passes according to your wishes after death. It is the job of the executor to collect your property, pay your outstanding debts and distribute your remaining assets through a court-supervised process known as probate. Although states have some basic legal requirements for executors, other qualities, such as financial responsibility and trustworthiness, are often considered most important by will makers when choosing whom to appoint for this important task.